When we’re young, we hate when our skin produces excess oil, because it can cause acne. However, this same oil, known as sebum, becomes our friend as we age because it helps us keep the skin moist and gives a youthful appearance.  Sebum is produced in far less quantity as we get older, with a considerable depletion occuring at age 40. This is why our skin dries out and eventually begins to wrinkle. The cosmetics industry encourages us to turn to synthetic moisturisers to help slow the process, but those products are simply not as effective on our skin as sebum oil. Luckily nature is generous and provides multiple solutions. Recent research has found that palmitoleic acid, the omega 7 fatty found in sebum can be sourced from multiple elements of the natural world. One such of these is particularly abundant, helpful, and native to Australia – Macadamia Oil. Our Sebum supply declines as we age, however the qualities of Macadamia Oil have been proven to act as a natural anti-ageing tool. When applied to the skin it is absorbed fully and doesn’t leave a greasy feel. Because it’s so close to your skin’s naturally produced oil, it’s able to help soften fine lines and wrinkles, providing a treatment that is both nourishing and grounding. This is why we use Certified Organic Macadamia nut oil in our all natural eco skin care range. Handcrafted on our Permaculture farm in the Bega Valley, Wyndham, NSW. 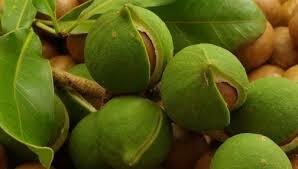 A little about the properties of Macadamia Nuts. Macadamia nuts contain over 75% of their weight as oil, the remainder is: 9.0% proteins, 9.3% carbohydrates, 1.5% moisture, 1.6% mineral matters and 2.0% fibre. The kernels of macadamia contain vitamin A1, B1, B2, niacin and essential elements such as calcium, iron, phosphorus, magnesium and potassium. The oil is a triglyceride oil and contains primarily monounsaturated fats up to 80–84%. Macadamia oil contains the highest percentage of monounsaturates when compared to both olive and canola oils. Macadamia nuts are also high in oleic acid (omega 9) and linoleic acid (omega 6) which helps the skin to restore its barrier function and maintain moisture. These fatty acids also boasts anti-inflammatory properties, helping your skin to remain healthy and smooth. Macadamia nuts contain over 75% of their weight as oil, the remainder is: 9.0% proteins, 9.3% carbohydrates, 1.5% moisture, 1.6% mineral matters and 2.0% fiber. The kernels of macadamia contain vitamin A1, B1, B2, niacin and essential elements such as calcium, iron, phosphorus, magnesium and potassium. The oil is a triglyceride oil and contains primarily monounsaturated fats up to 80–84%. Akhtar; et al. (2006). “Evaluation of basic properties of macadamia nut oil”. Gomal University Journal of Research, 22: 21–27. Retrieved 2 January 2016.